People have asked what species of bats we have on Site ,well we have recorded around six species at the moment in various locations which isn’t bad considering how much light pollution is generated from the campus, the limited habitat (which we are improving) and all the activity going on. Bats play an important part in our environment and of course are a protected species so we need to do what we can to ensure their well being around site so keep an eye out for the various bat boxes which will be going up over the next few months. 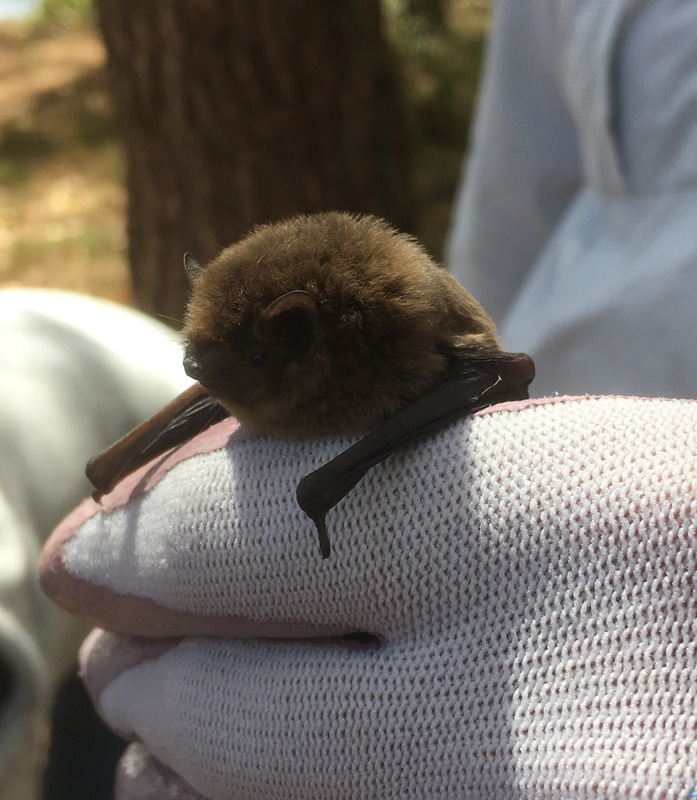 The picture below is of a soprano pipistrelle (pipistrellus pygmaeus) which we do have on site but this one was actually taken at another location on a bat box check last month but it does give a close up view of the size and what one species of bat on site looks like(only licenced people can handle bats).